Doctors at Saint Francis Medical Center utilize a minimally invasive method known as an endobronchial ultrasound (EBUS) for diagnosing and staging lung cancer. Endobronchial ultrasound uses sound waves to gain a clear picture of the area around the bronchial tubes and biopsy the abnormal area with a small puncture to determine whether cancer is present and has spread. Previously bronchoscopy, which is a test in which camera is inserted into the bronchial tubes, was used to identify the lung cancer. If the patient had lung cancer, he would be referred to a surgeon, who would make an incision in the neck and remove lymph gland specimens from the chest to determine whether the cancer has spread. Now, the camera is still necessary to view the bronchial tubes, but an ultrasound can be used to see the area around the tubes to identify structures that are abnormal and biopsy them accurately. 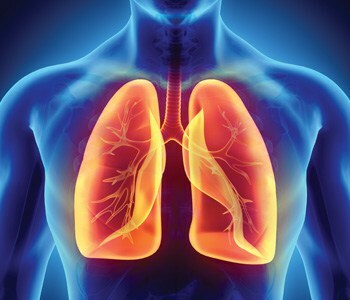 Most of the time, the bronchoscopy and endobronchial ultrasound can be performed at the same time, which is minimally invasive and eliminates the need for a second procedure. There is no scar involved with the ultrasound, and the patient is able to recover quickly. After the ultrasound biopsy procedure, the physician can determine the necessary course of treatment, which may include surgery, chemotherapy and radiation therapy. The extent of the treatment depends largely on whether it has spread to the lymph glands, and if those glands are confined to one particular area or if the cancer is in glands throughout the chest. This information helps the provider decide whether surgery or chemoradiation therapy are necessary to treat the cancer.